A lot of the Ladies will represent life from the seamstress perspective. We have a number of presentations involving the mending or creating of clothes relevant to the time. This will range from using Trollen wheels, Carding, Tablet weaving and handlooms. There is also the chance for the children of the audience to have one of our trollen wheels to have a go and to take home with them as a memento of their visit. We also have a ‘dressing the Lady’ presentation that runs alongside our ‘dressing the knight’ for a comparison of who’s wearing what this season. 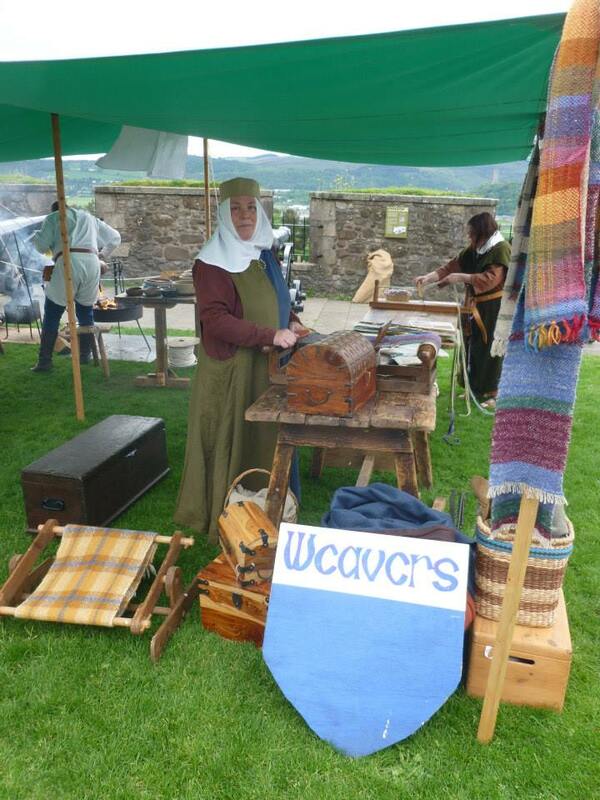 The Weavers in the Saltire attempt to recreate the fabrics of medieval times. 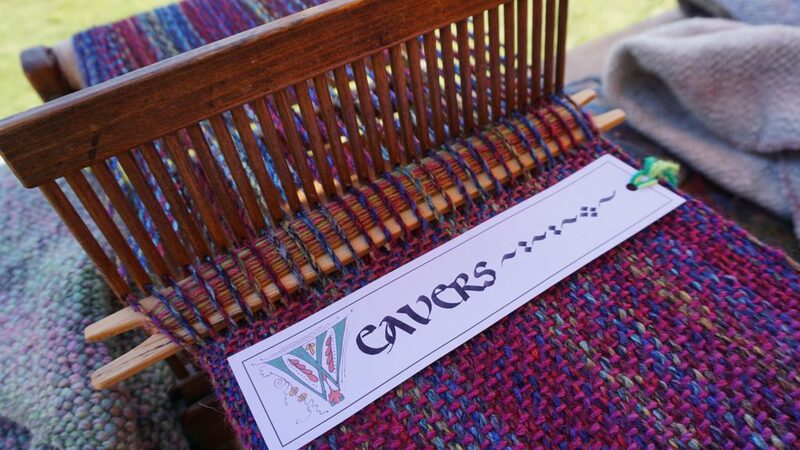 Whether we’re demonstrating tablet weaving to make trim and belts, doing tapestry work on a handheld loom, or weaving woollen fabric on a warp-weighted loom, we can tell you how it was done. The public is encouraged to ‘have a go’ at making a medieval braid on Trollen wheels, which are then free to take away with them after their visit to our spot in the camp.